Easy, comfortable to drive. Only minutes to set up. Electric awning. Plush leather seats. 6 speed automatic, diesel with power steering. Solar power with inverter. Full operating instructions given prior to hiring (allow 30 minutes). Recommended maximum speed is 100km/hrs, however, in windy and/or wet conditions maximum speed must not exceed 90km/hr. A fire extinguisher and basic first aid kit are provided. When the awning is extended in windy conditions the additional poles and tie-down ropes must be used. Alternatively, the awning can be withdrawn to prevent damage. Full comprehensive insurance with basic excess of $1000 if located within 250km radius of Tweed Heads South. Extra $1000 excess if accident or damge occurs further than 250km radius from Tweed Heads South. 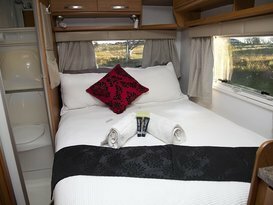 Linen provided at extra charge of $40 per set ( 2 pillows, 2 sheets, doona, 2 towels), bed/s fully made up. Drivers must be 25 years of age or older. 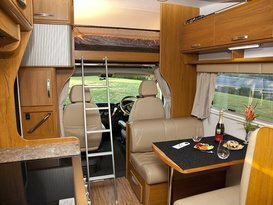 For anyone driving the motorhome under 25 yers of age and has an accident the excess is $6000. Comprehensive insurance is included but does not cover hirer's personal belongings and equipment. Pets are allowed with prior approval from owners and any damage caused by pets must be reimbursed by the hirer. 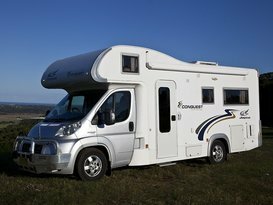 A copy of current drivers' licences and 1 other form of identification must be provided at the time of hiring for all persons intending to drive Freedom Motorhome. Freedom is not a 4 wheel drive vehicle so cannot be taken off-road such as on gravel roads, sand/beaches and alpine/snow regions during snow season. Night time driving is not permitted due to risk of collisions with animals. For 7 day hire or less the first 1000kms are free and for more than 7 days' hire the first 1500kms are free; then additional kilometres are $1/km. This charge to be paid directly to owner at end of hire. This RV is fitted with an EToll tag, however, hire of this RV does not include toll road usage charges. All toll related fees incurred during the hire period will be charged to the hirer and paid in cash to the owner at the end of hire. The hirer is responsible for ensuring the vehicle is parked appropriately and driven in accordance with the road rules during the hire period. 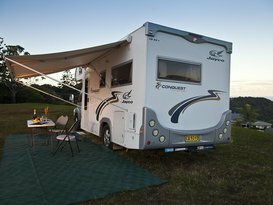 All fines incurred during the hire period, including, but not limited to traffic infringement or unauthorised parking, will be the responsibility of the hirer to pay, with fines sent to the RV owner incurring an additional $85 processing fee. Vehicle will be supplied fully fuelled and must be returned fully fuelled. As part of the Pre-Booking fee, 2 gas bottles are supplied for use free of charge. Prior to ALL driving, the toilet holding tank MUST be emptied to avoid spillage. A cleaning fee of $50 will be charged for any spillage from the toilet holding tank. All crockery, cutlery, pots and pans, etc must be left clean. Cleaning equipment provided. All accidents, breakages or losses must be reported. Equipment stowed away in correct storage area. Be aware that the vehicle is longer, wider and taller... Whilst turning corners do allow room for manoeuvre. If you know that the street is going to be tight, don't go there. No entry. Can't go in any shopping centres' undercover parking area, as it's too tall. Better to park on the open street. No sudden turns as the weight and height could tip it over. Drive carefully around corners allowing for the rear wheel to clear the curb by observing the side mirror. Watch out for poles, trees and overhanging branches when turning corners and parking. Pick-up 3pm and drop-off 11am must be strictly adhere too. Please call in to inform that you're running late. It's inconvenient for the next customer booked for that day. The van needs to be cleaned and serviced. Early pick-up or late drop-off should be discussed prior and a fee may be charged. GETTING BACK ON TIME: Please allow travel time, refuelling, waste dumping and unloading belongings upon returning Freedom. REMEMBER THE VEHICLE IS LONG, TALLER, WIDER AND HEAVIER. - Turning wide on corners or around tight areas help. it could tip over. So take it easy. Get comfortable with it. - Allow good distance between you and the car in front. At least 6 metres allowing time to stop. - Comply to the speed limit indicated and park wisely. Height: 3.5m. Width 2m. Length: 6m. This vehicle is taller, wider, longer and heavier. Very easy to drive. Ann and Phil were fantastic. They really took their time to show me around the van. Excellent communicators which put me at ease driving such a big van for the first time. The van was fantastic and the driving was easy and fun. Incredibly clean, well equipt and needed nothing but a fridge full of food. Being automatic it was very easy to drive, we just had to be mindful of the extra height and width, otherwise it was a breeze. Phil and Anne were very helpful and friendly - they even let us park our car at their house while we were away! They gave us instructions on how everything functioned before we headed off, and they were happy to take our call when we forgot how to fold up the awning. The motor home was spacious and very comfortable. We would definitely hire it again. We had a great time in Freedom. 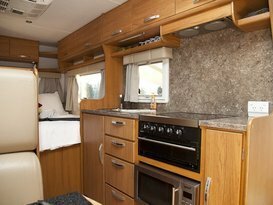 It had everything we needed to live and sleep comfortably. I would happily rent Freedom again. Anne and Phil were terrific hosts, happy to help out at any point. We loved the van and the service from Anne and Phil was outstanding! My weekend away was amazing. 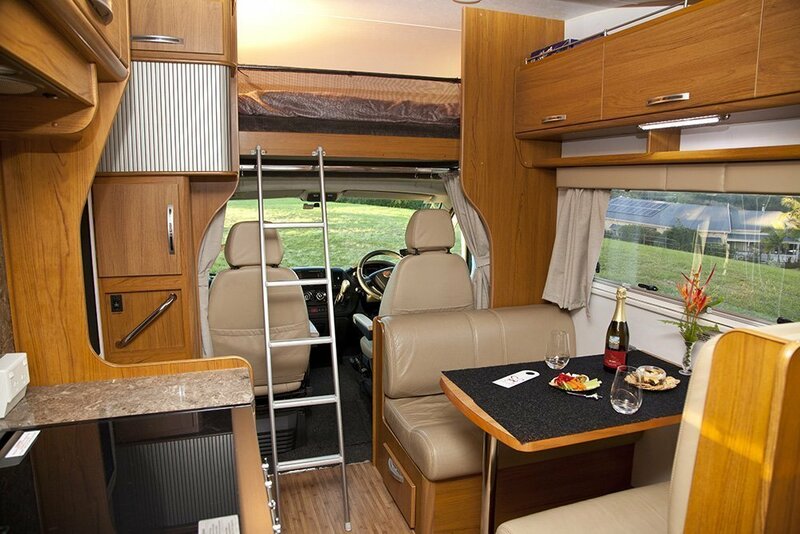 It was made more spectacular with Anne and Phil beautiful motorhome. From start to end they were so helpful and easy going to hire from. Definitely would hire again and would recommend 110% for anyone who is looking to add that extra something special to there holidays. Thank you so much again Anne and Phil. 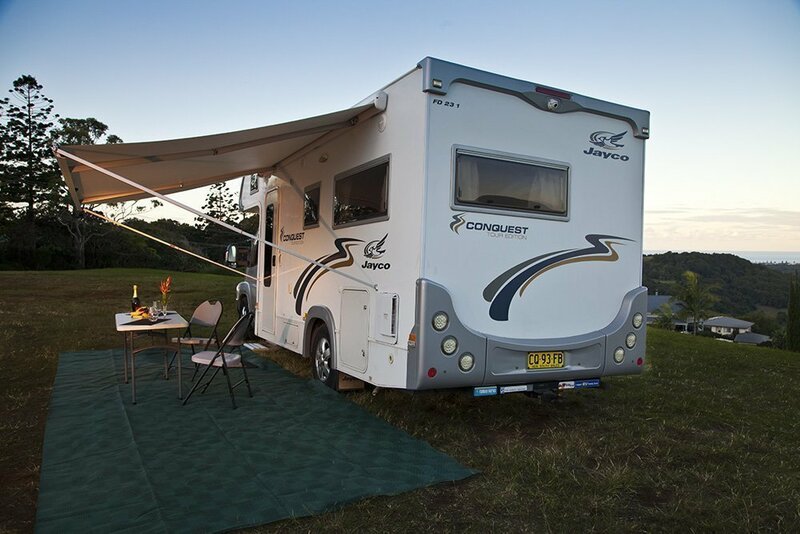 Our first Australian motor home adventure went without any problems. The van was well equipped with all bases from cooking to cleaning and comfort covered . Being out west in 42c heat the air conditioning unit never let us down . 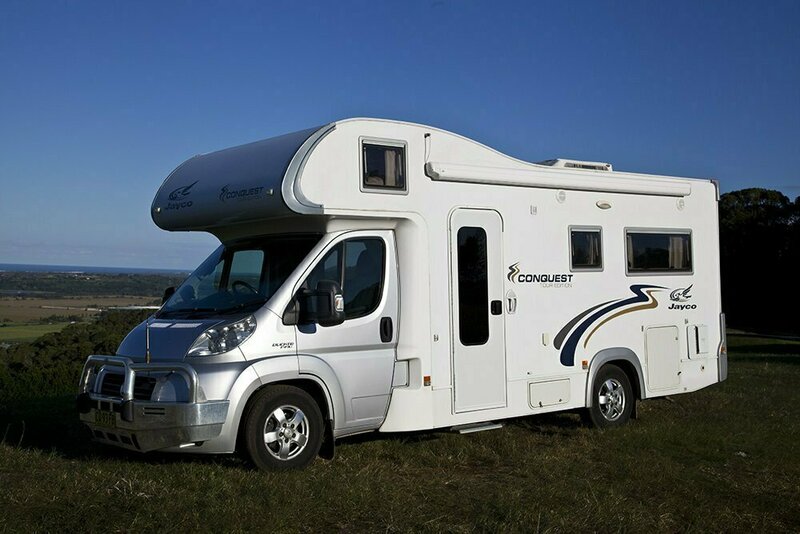 Anne and her husband were very helpful with a detailed handover at the beginning of our trip and added excellent print outs to help us..
Would highly recommend this motorhome for an Australian adventure . Amazing experience. Easy to drive and very comfortable. Very grateful we were able to take our diabetic cat on holidays with us. Thankyou! 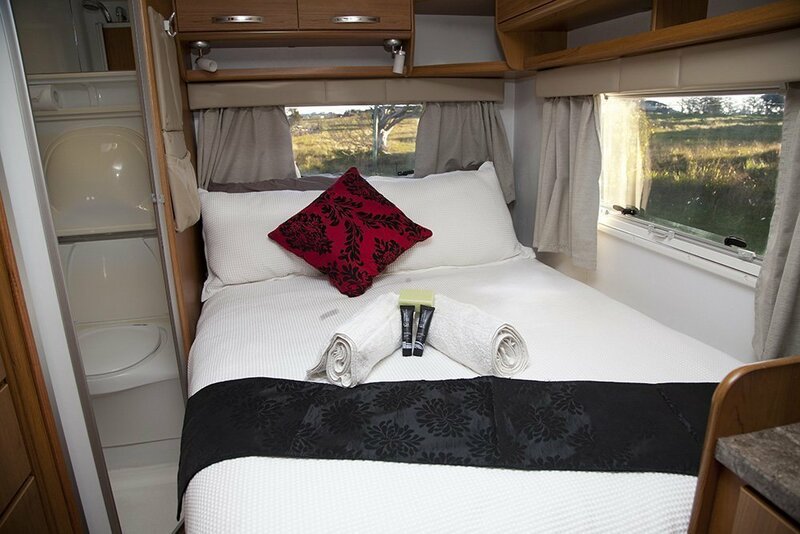 Anne & Phil are lovely people & their motor home is very comfortable & well appointed. It’s easy to drive. Parking is a breeze with reversing cameras giving great visibility. We had a great week-end in the Freedom. Everything we needed was in the mobile home. Phil thoroughly took us through the homes features before we left and we were able to leave our car at their home. The mobile home drove extremely well. Thank you to Phil and Ann for sharing your mobile home with us. I think we've caught the bug! My sister and i have just returned from a 2 week road trip in Anne and Phil's "freedom". A lovely couple, very attentive and flexible with pick up and drop off times. Lovely cabin and well equipped, we treated it with care and as if it was our own. Vehicle is easy to drive and cruised well along the hwy. . All appliances worked well and suited our needs. Beds were comfortable. If you're looking for a quick getaway or touring trip don't hesitate. Vehicle not suitable for offroad. Our trip with Phil and Anne’s Motorhome was perfect. 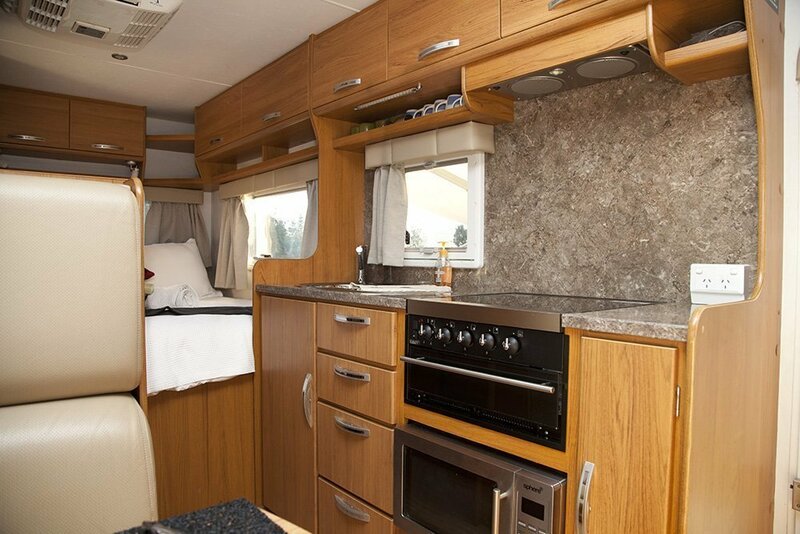 This camper has everything you would want and need and was like our home away from home. Phil and Anne make everything easy and were great hosts! 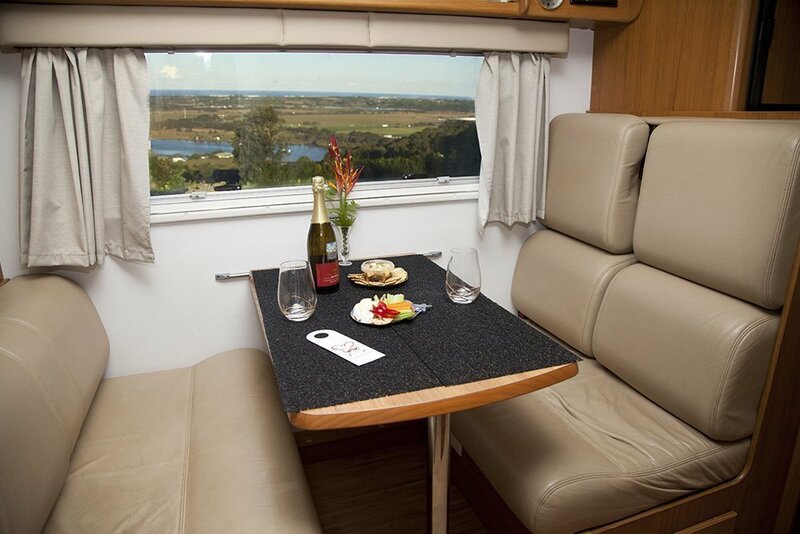 Freedom was a breeze, super-easy to hire & operate, with all equipment in excellent condition. Phil was very responsive and easy to deal with. So as a first time Camplify hire I did find the site a little confusing. Apart from that it was great experience. 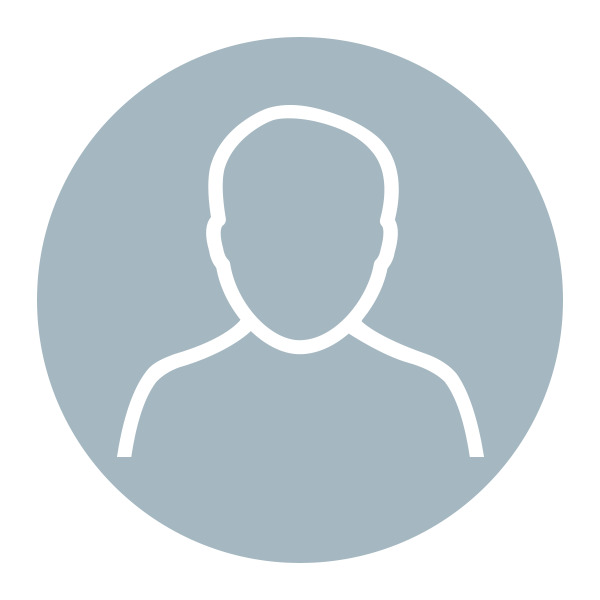 I hired Freedom from Phil and Anne and they too, were new to Camplify. So it was a learning curve for us all. They were excellent hosts and the camper was amazing. Everything you could need. I usually camp when I work at festivals and decided at last minute due to the cold snaps and wet weather to get a Camper. I only had it for 2 nights and they were able to accommodate my pick up and drop off time in less than 24hrs notice. Oh my God, where do we start? Owning the Jayco Conquest Touring edition, affectionately known as 'Freedom', is one of the best experiences of our lives as it allows us to have many more memorable experiences as we travel about visiting new places and meeting new people, or the freedom to enjoy just our own company.We call it 'Freedom', as the moment we start driving there doesn't have to be a destination and once we stop for the day there is very little step-up. 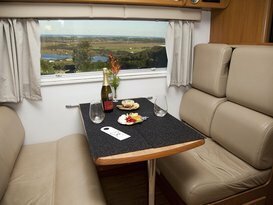 The benefit of the motorhome is that we can pull up wherever we like and don't have to exit the vehicle in order to make a cuppa or a meal.